We are a leading Manufacturer of pallet covers from Mumbai, India. We are the leading manufacturers and suppliers of Pallet Covers. UV protection, Low-density polyethylene covers. 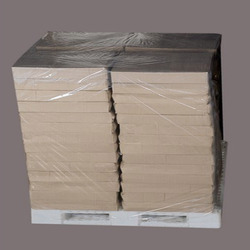 Pallet covers have gusseted sides which allow a bag to easily slide over the pallet. Protects pallet load from dust, dirt, water, snow etc. Looking for Pallet Covers ?